If you've been looking forward to Windows Phone 7 but been annoyed at the prospective cost, then we've got good news for you. According to Sudeep Bharati, director of developer tools for Microsoft in India, there will be a cheaper version of the OS with a lower-spec chassis to go with it. 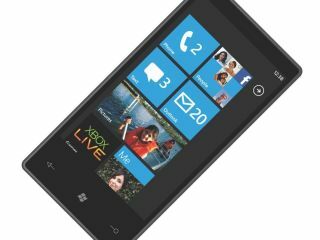 While we doubt a huge amount of functionality will be stripped out, phone manufacturers won't have to adhere to the stringent chassis regulations laid out by Microsoft for high-end Windows Phone 7 devices. These specs have been set as requiring a 5MP camera with flash, 8GB of flash memory, 256MB of RAM and a WVGA screen. But the future devices could need less RAM and only an HVGA screen or better, depending on what Microsoft decides. This means that it can penetrate these emerging markets with fairly well specified smartphones at a cost that will still allow it to remain competitive. "The low-cost version of the phone will have a different chassis than version 1 to be launched by 2010 end," said Bharati. Microsoft has recently announced the Kin range of social-networking mobile phones, which are also based on the same core as Windows Phone 7. As we near the release of the whole WP7 family (later this year), there will be questions raised over whether Microsoft is properly dividing up its portfolio. While the stringent specs previously laid down meant brands really had to step up their hardware, offering a watered-down version means it's hard to see where the incentive is to put the resources in to create the high end devices.